Sometimes it is required to figure out what files or folders were created or modified in a certain time. This is what this tool was created for. We tried to make it as simple as possible. 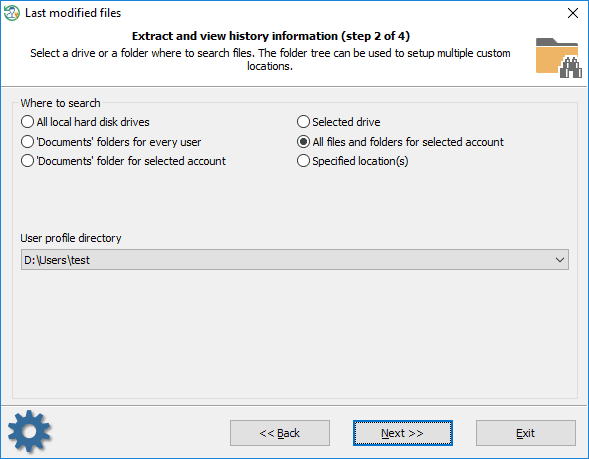 All you need is to set the search location and to specify the time range for the sought files/folders. 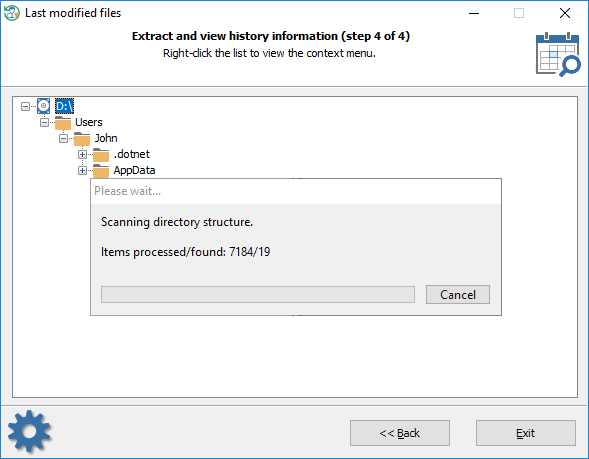 To point the program the starting point for the files to search, select one of some predefined values like documents folder of a certain user, the whole user's profile, etc. You can also specify your own location by setting a custom path or a hard drive. 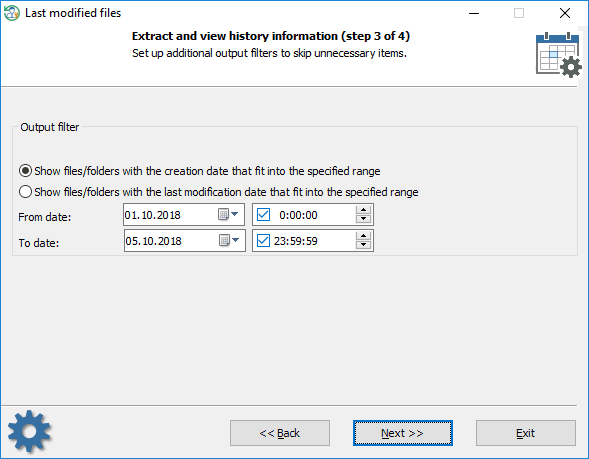 Specify here if you need to search for files/folders with a certain creation date or a modification date. You can set up the time up to seconds or turn the seconds off completely. Be patient, searching may take quite a lot of time.